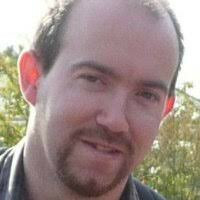 Ian Shaw is Director of Games Technology Consulting. He has steered the path of AI in games from wizard chess in Harry Potter (as CTO at Electronic Arts) to evil minions in Dungeon Keeper (as Head of R&D at Bullfrog) to baby tigers in Kinect (as Publishing Development Manager at Microsoft), and has seen both commercial and academic sides (at Cognitive Science Society Committee/Cambridge University, Visiting Research Fellow at Goldsmiths, University of London). AI is the next big thing. It's already better than you at chess, so we made it more playable with artificial stupidity. It's already creating killer robots, but for some games, that's OK too. And best of all, AI can recognise cat pictures, so when it drives a real car, it probably won't run over your pet. Games have always lead the way in AI, so how did we do it and where will it go next ? This is the story of when AI is useful, when it’s magic, when it’s an illusion, and even when it’s a mistake!